Psychedelic improvisations, released 2.7.2008, features an insert. 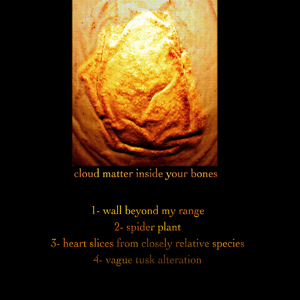 Four droney tracks recorded in November 2007 by Maxime Primault in his small haunted room in Rennes, France. Mostly built upon prepared guitar improvisations fed with different effects. Bass, electronics, voice, field recordings, voice and various objects has also been used to complete the recordings. The whole disc is quite quiet and meditative with different moods for each piece. No supercharged sounds here. No dance music. Only abstract and intuitive expression. Think about clouds filling the sky. Think about bones wich are the main structure of your body. Imagine them both related through music. 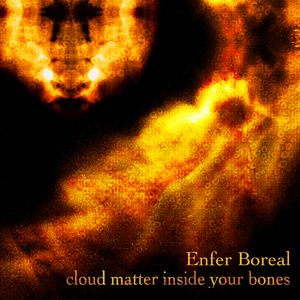 Another proof of finnish friendship for Enfer Boreal after Ikuisuus label recording and collaborations with Jani Hirvonen (Uton). Another proof of french friendship for 267 lattajjaa after ghost brames of le cerf and przewalski's horses releases.